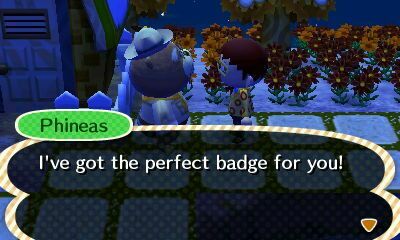 Badges are a new feature in Animal Crossing: New Leaf. They are awarded when your character accomplishes certain achievements, like collecting fish or bugs, planting flower bags and saplings, pulling weeds, etc. 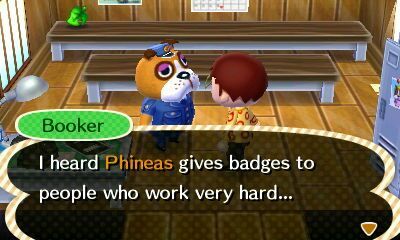 When you've earned at least one badge, Phineas will appear in your town. Phineas is a sea lion in a scout's uniform. He may seem hard to miss because he's rather large, but he has a way of standing behind objects which can make him hard to find. Use your megaphone when you expect him to be present but can't seem to find him. Talking to Phineas will reward you with the badge(s) you've earned. Don't forget to keep on talking to him until you've received all the badges he owes you! Once he's given you all the badges, he'll start repeating himself. Phineas doesn't show up on days with precipitation. There may be clouds and it may even be heavily overcast, but as long as it doesn't actually rain or snow that day he will show up when you've earned a badge. When it is overcast, it may be difficult to assess whether he can possibly appear that day because it can rain at a time when you're not playing. 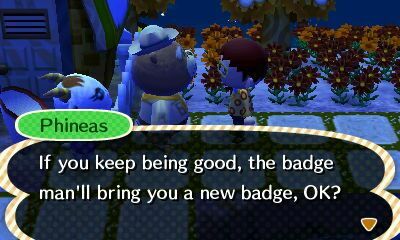 To resolve this, you might consider having another player in your town who has earned a badge but hasn't talked to Phineas about it yet. You can play with that side player and if Phineas is there for them, you'll know it's a day he could appear for you as well. When you subsequently play with your main character and Phineas isn't there, you can be sure that they haven't earned any badges yet. There are some more circumstances where Phineas won't show up even if you've earned a badge. If Katie the travelling cat is in your town, Phineas won't show up until you've escorted her to another town or she leaves. On Sunday mornings, he won't appear while Joan is selling turnips in your town, but he'll appear that afternoon after she leaves. Phineas is not kept away by other characters frequenting your town, like Saharah, Gulliver, Redd or campers. 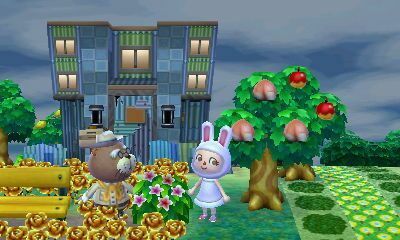 He can also appear during events like the Fishing Tourney, the Bug off and Bunny Day. Finally, Phineas will not appear if your gates are open and/or you're having a friend visit. There are a couple of ways you may find out that Phineas is in town. When you talk to Booker or Copper at the police station, they may mention Phineas is in your town. However, if there's a camper or another regular visitor, it may take multiple attempts for them to mention him. 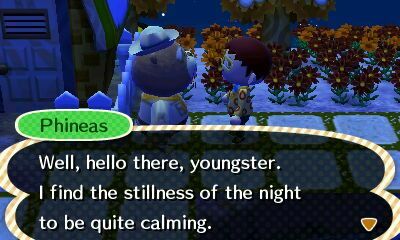 Your villagers may also mention that Phineas is around. Phineas awards badges in three levels: Bronze, Silver and Gold. 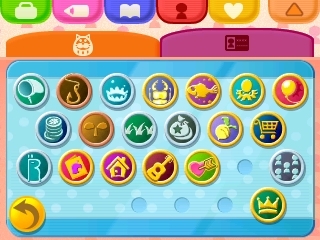 There are 24 different achievements, so altogether that makes 72 badges. The badges you've earned can be accessed in your Town Pass Card (TPC). This card is validated by getting your picture taken in the photo booth on Main Street. This card is also needed if you want to travel, so if you don't have it validated yet, you better go and do this for 500 Bells. The TPC can be viewed by pressing the person icon at the top of the bottom screen and then selecting the TPC tab. The TPC shows some personal info like your birthday and your Dream Address, if available. If you have received at least one badge, it will also show a scout icon below your picture. Pressing this scout icon will reveal all the badges you've received. See the lists below to find out how to acquire all of these badges! Skilled Bug Catcher A badge for players who have caught many bugs. Catch 500 bugs of any type. Expert Bug Catcher A badge for players really into catching bugs. Catch 2000 bugs of any type. Master Bug Catcher A badge for only the most avid bug catchers. Catch 5000 bugs of any type. Skilled Angler A badge for players who have caught a lot of fish. Catch 500 fish of any type. Expert Angler A badge for players who love fishing, day and night. Catch 2000 fish of any type. Master Angler A badge for the most avid anglers and fishing masters. Catch 5000 fish of any type. Skilled Diver A badge for players who have done a lot of diving. Catch 100 seafood of any type. Pro Diver A badge for players who love diving for sea creatures. Catch 200 seafood of any type. Dive Master A badge for the most avid divers and sea scavengers. Catch 1000 seafood of any type. Insect Maniac A badge for players with a bug encyclopedia at 50%. Catch 36 different types of bugs. Insect Encyclopedia A badge for players with a bug encyclopedia at 80%. Catch 58 different types of bugs. Professor of Entomology A badge for players with a complete bug collection. Catch all 72 types of bugs. Fish Maniac A badge for players with a fish encyclopedia at 50%. Catch 36 different types of fish. Fish Encyclopedia A badge for players with a fish encyclopedia at 80%. Catch 58 different types of fish. Professor of Ichthyology A badge for players with a complete fish collection. Catch all 72 types of fish. Seafood Maniac A badge for players with a diving encyclopedia at 50%. Catch 15 different types of seafood. Seafood Encyclopedia A badge for players with a diving encyclopedia at 80%. Catch 24 different types of seafood. Professor of Seafood A badge for players with a complete diving collection. Catch all 30 types of seafood. Balloon Hunter A badge for players who love popping balloons. Pop 30 balloons on flying presents. Balloon Buster A badge for players who really love popping balloons. Pop 100 balloons on flying presents. Balloon Master A badge for the most avid balloon hunters in the world. Pop 200 balloons on flying presents. Note: Balloons popped on island tours do not count. Bronze Medalist A badge for players who've earned tons of island medals. Earn 300 medals from island tours. Silver Medalist A badge for players who love island tours and medals. Earn 1500 medals from island tours. Gold Medalist A badge for truly hard-core island-medal earners. Earn 5000 medals from island tours. Backyard Gardener A badge for players with a strong interest in gardening. Plant 100 flowers or trees. Village Gardener A badge for players with an addiction to town gardening. Plant 250 flowers or trees. Gardening Specialist A badge for the masters of the art of town gardening. Plant 500 flowers or trees. Note: While only flowers from seed bags count, trees can be from fruit or saplings. Weed Hunter A badge for players who've pulled quite a few weeds. Pull 500 weeds. Weed Buster A badge for players who've compulsively plucked weeds. Pull 2000 weeds. Weed Menace A badge for only the most avid weed pullers. Pull 5000 weeds. Note: Wilted flowers count as weeds when pulled. Avid Bell Saver A badge for players who've saved a fair amount of Bells. Deposit 1,000,000 Bells into your ABD account. Wealthy Bell Saver A badge for players who've saved a TON of Bells. Deposit 10,000,000 Bells into your ABD account. Tycoon Bell Saver A badge for players who've saved over 1 billion Bells. Deposit 100,000,000 Bells (not 1 billion like the description states) into your ABD account. Note: Bell amounts do not count withdrawn Bells. You must actually have the required number of Bells in your account. Amateur Turnip Trader A badge for players who understand the stalk market. Make 500,000 Bells worth of profit from selling turnips. Pro Turnip Trader A badge for players really into playing the stalk market. Make 3,000,000 Bells worth of profit from selling turnips. Master Turnip Trader A badge for players with a total mastery of turnips. Make 10,000,000 Bells worth of profit from selling turnips. Note: Selling turnips at a loss does not affect your total profit. Good Shopper A badge for players who've spent a lot while shopping. Spend 500,000 Bells. Expert Shopper A badge for players who love to shop. Spend 2,000,000 Bells. Master Shopper A badge for players who've spent over 5 million Bells. Spend 5,000,000 Bells. Note: Only Bells spent at the Nooklings', GracieGrace, Able Sisters, Kick's, Garden Center, Museum Shop, and Redd's count. Refurbishing Beginner A badge for players who regularly refurbish furniture. Refurbish 30 items. Refurbishing Expert A badge for players really into refurbishing furniture. Refurbish 100 items. Refurbishing Master A badge for only the most masterful refurbishing fans. Refurbish 200 items. Catalog Maniac Bronze A badge for players with an item catalog filled over 20%. Complete 20% of the item catalog. Catalog Maniac Silver A badge for players with an item catalog filled over 50%. Complete 50% of the item catalog. 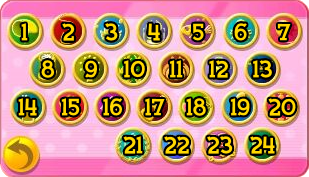 Catalog Maniac Gold A badge for players with an item catalog filled over 80%. Complete 87-88% of the item catalog. Note: 87-88% is believed to be a more accurate approximation based on keeping track of catalog progress. Happy Homer Bronze A badge for players who've scored big with the HHA. Receive an HHA evaluation of 50,000 points or more. Happy Homer Silver A badge for players with truly amazing HHA scores. Receive an HHA evaluation of 100,000 points or more. Happy Homer Gold A badge for players with HHA scores over 150,000. Receive an HHA evaluation of 150,000 points or more. K.K. Slider Fan A badge for fans of K.K. Slider's performances. Listen to 20 songs peformed by K.K. Slider on Saturdays. K.K. Slider Fanboy/Fangirl A badge for K.K. Slider fans who never miss a show. Listen to 50 songs peformed by K.K. Slider on Saturdays. K.K. Slider Diehard A badge for only the most hard-core K.K. Slider fans. Listen to 100 songs peformed by K.K. Slider on Saturdays. Note: You can earn these badges more quickly by requesting more than one song on a Saturday. Good Samaritan A badge for players who've helped a lot of neighbors. Complete 50 villager tasks. Great Samaritan A badge for players who enjoy helping others. Complete 100 villager tasks. Town Concierge A badge for players who never stop helping others. Complete 300 villager tasks. Note: Villager tasks are marked by a jingle upon successful completion. Letter Writer A badge for players with a love of letter writing. Send 50 letters. Letter Author A badge for players who really like to send letters. Send 100 letters. Postmaster A badge for only the most avid letter writers. Send 200 letters. 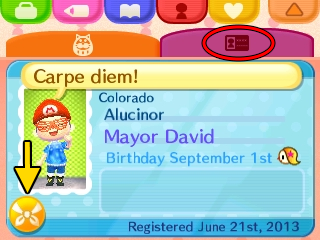 StreetPass Beginner A badge for players with a lot of StreetPass tags. StreetPass people with New Leaf 100 times. StreetPass Expert A badge for players with a lot of StreetPass tags. StreetPass people with New Leaf 300 times. StreetPass Master A badge for only the most avid StreetPass taggers. StreetPass people with New Leaf 1000 times. Note: StreetPassing the same person multiple times counts as multiple StreetPasses. Neighborhood Traveler A badge for players who've visited a lot of other towns. Visit other towns 100 times. World Traveler A badge for players who love to visit other towns. Visit other towns 250 times. Space Traveler A badge for players who never stop traveling. Visit other towns 500 times. Good Host(ess) A badge for players who've hosted a lot of town guests. Host 50 visits from other players. Great Host(ess) A badge for players who love to host guests. Host 200 visits from other players. Goodwill Ambassador A badge for only the most avid town hosts. Host 500 visits from other players. Dreamer A badge for players who've experienced a lot of dreams. Visit dream towns 50 times. Heavy Sleeper A badge for players who are really into dreaming. Visit dream towns 200 times. Mr./Ms. Sandman A badge for players who've had more than 500 dreams. Visit dream towns 500 times. Village Representative A badge for players who've spent a lot of time playing. Play for 50 total hours. Village Leader A badge for players really into playing. Play for 200 total hours. Villager of Honor A badge for players who've played more than 500 hours. Play for 500 total hours. Note: Total playing time is for that specific character. 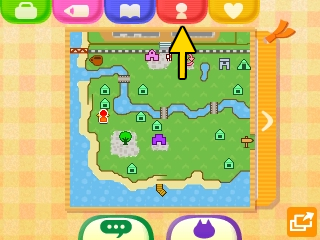 You must have started up your town with that character for the time to count.